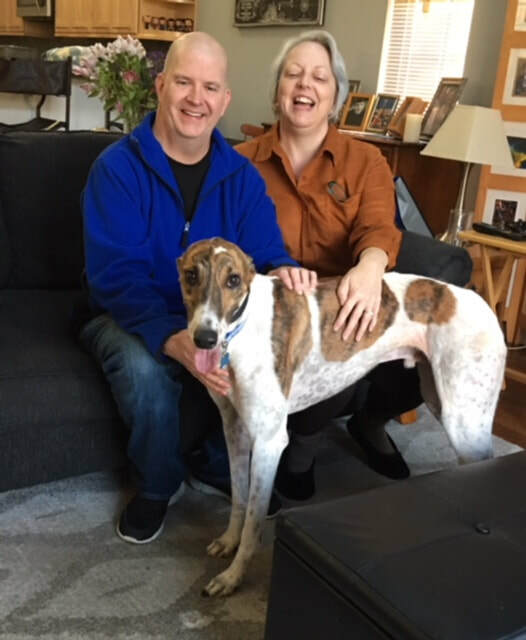 Mac's Oliver has found a greyt home with Keith and Rose in Sharonville, their older sons, Max and Ben were not available for the family photo. Oliver was very comfortable and bonded immediately with Keith and Rose. He came in the house and was curious checking out his forever home. He did their steps with no hesitation. This is a nice boy and will be very happy with this loving family.